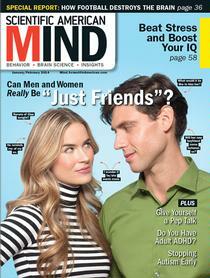 Well-meaning arguers often attempt to see things from their partner's point of view, but doing so can backfire, according to a paper in the January 2013 issue of the Journal of Personality and Social Psychology. In problem-solving discussions among 111 couples, researchers found that the person who attempted to take his or her partner's perspective had an increase in self-focus and overestimated how obvious his or her feelings were. After the discussion, the perspective-taking partner reported feeling less satisfied with the relationship in general, and the other partner reported no change in relationship satisfaction. When subjects were instead instructed to take an objective approach and pay close attention to the other person's behavior, satisfaction increased for both partners—probably because this approach fostered a sense of shared reality. “I think what is critical is paying attention to what the other person says and does, rather than trying to work it all out inside one's own head,” says Jacquie Vorauer, one of the study's authors and a psychology professor at the University of Manitoba.